Cardi B's rise to fame has literally been a real-life Cinderella story. She went from being a stripper in the Bronx to becoming the hottest female rapper in the game. 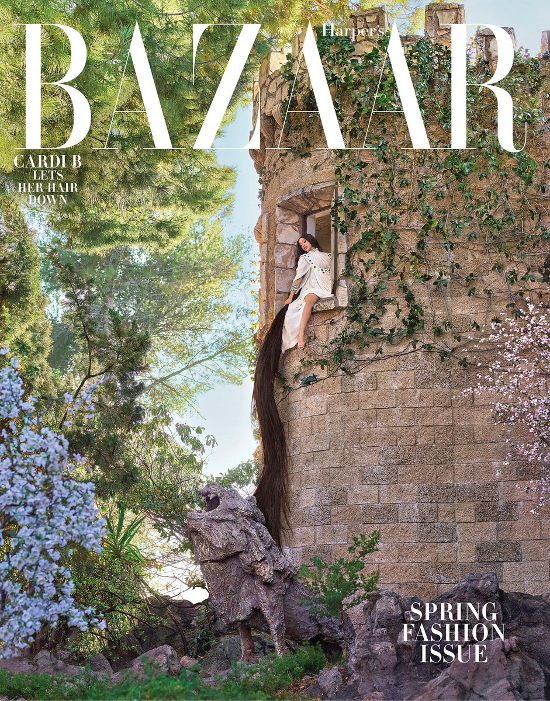 The 26-year-old rapper graces two covers of Harper's Bazaar's March 2019/Spring 2019 issue. And the pictorials - which are all popular fairytale re-enactments like Cinderella and Rapunzel - are FIRE. 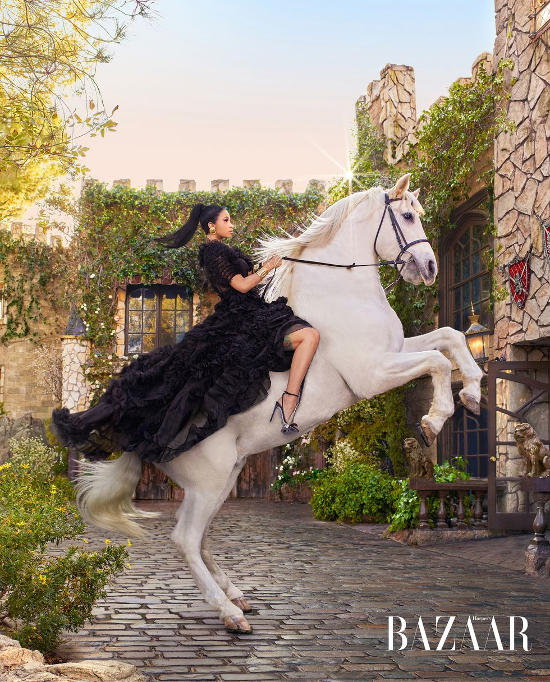 Inside, the Grammy nominated rapper - who's up for 5 Grammy Awards this year - shares how she feels like a princess. Real Cinderella like with her rags to riches story. As you know, that infamous "fight" with Nicki Minaj went down at a Harper's Bazaar event during New York Fashion Week this past September, but there's obviously no bad blood between the rapper and the publication. “I feel like my life is a fairy tale and I’m a princess—rags to riches, people trying to sabotage,” she says. But she also complains fervently about being over the fairy-tale life and wanting peace and quiet. “Before, I cared about everything—relationship, gossip. Now I don’t feel like I have the time to please people,” she explains. “I don’t care about anything anymore—just my career and my kid.” What about money, the thing she raps about caring for quite a bit? “Well, I care about my career because of my money,” Cardi says, giving me a “c’mon, stupid” face. 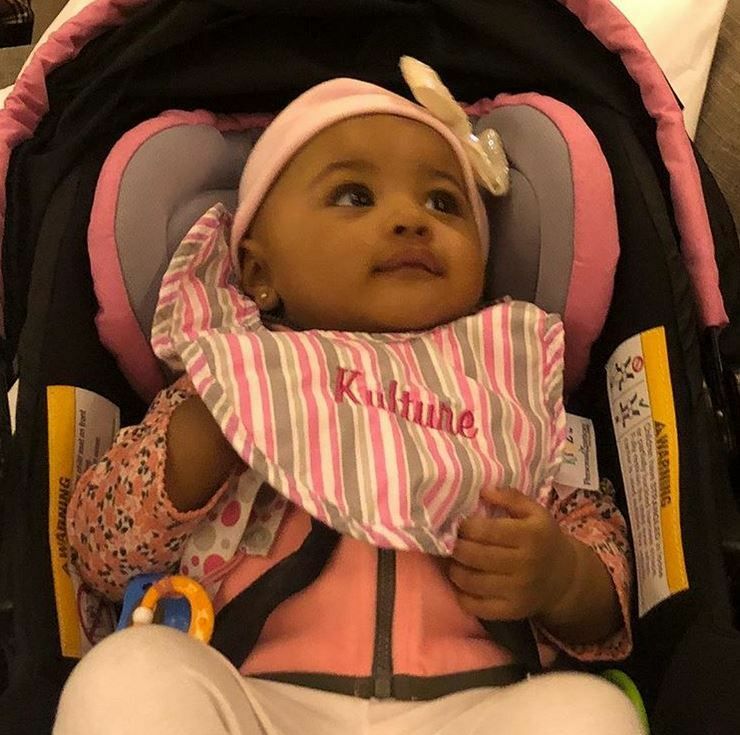 As her starpower grew, Bardi's personal life changed drastically when she married Offset and gave birth to their baby girl, Kulture Kiari Cephus. Being in the public eye, we all saw how the Migos rapper was caught up several times creeping behind Cardi's back. When she got fed up (after taking him back once), she announced to the world that they were breaking up. Shortly after, Offset went into overdrive trying to win her back. Has his efforts worked? Will she reuniting with Offset? “I don’t think so,” and “Who knows? You never know, you can never tell,” neither of which is exactly a definitive answer. As of now, it's up in the air. When asked if her family and friends influenced her decision to leave Offset, she set the record straight about being the only person in control of her life. And no amount of therapy will change her mind about anything. She shares Offset suggested they go to therapy, but she's not with it. After giving birth to baby Kulture, the "Bodak Yellow" rapper suffered postpartum depression, which she learned is REAL. She’s thinking about pulling back a little from social media. “I’ve noticed that every time you respond, you just make things worse, so I’m over it. I’m just over it. I really don’t need it, and sometimes it just brings chaos to my brain.” She adds, “I can stay off social media. I’ve been trying.” For months after KK was born, Cardi didn’t put pictures of her on social media, and certainly didn’t sell any to the tabloids. She says Offset wanted to put a picture up, but she was unsure. Ha! We love her outlook on being extremely choosy - as all women should be whether you're a mother or not - with who she lets near her and her child. And yes, men rarely care about your personal situation, just what they want. So we're not surprised plenty of men were shooting their shot while she was going through a separation and having a baby. Steer clear of anyone who doesn't put your needs first, sis! You can read Cardi's full cover story here and also a few additional quotes that didn't make the cover story here.